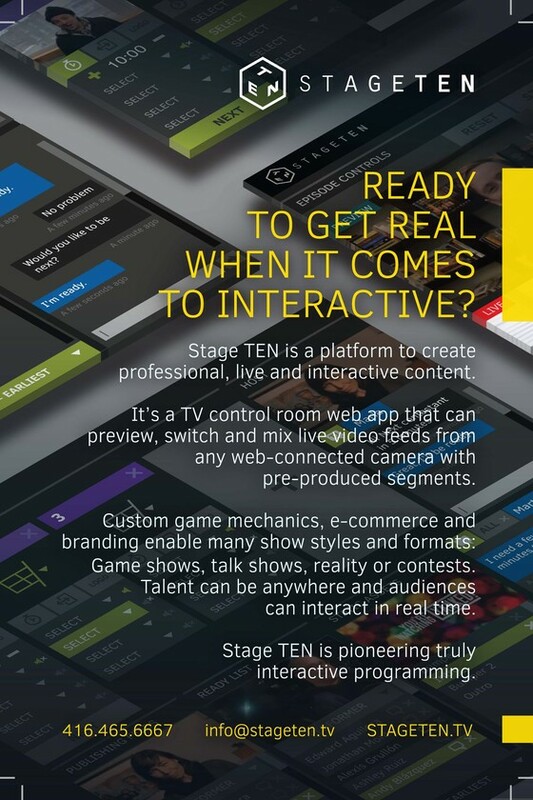 Stage TEN is an established digital media company leading the way in interactive entertainment platforms. Stage TEN is a platform to create professional, live and interactive content. It's a TV control room web app that can preview, switch and mix live video feeds from any web-connected camera with pre-produced segments. Custom game mechanics, e-commerce and branding enable many show style and formats: game shows, talk shows, reality or contests. Talent can be anywhere and audiences can interact in real time.